The littles (or bigs) are finally out of school for the summer! They are excited for lazy summer days sitting by the pool at Arcadia Run, but you are worried about what will happen when they utter the dreaded phrase: “Mom, I’m boredddddd.” Not to worry! Arcadia Run is located near some great places to take the kids and keep them entertained all summer long. From parks to fun and games to learning about history, they’ll have plenty to tell the teachers about what they did this summer. 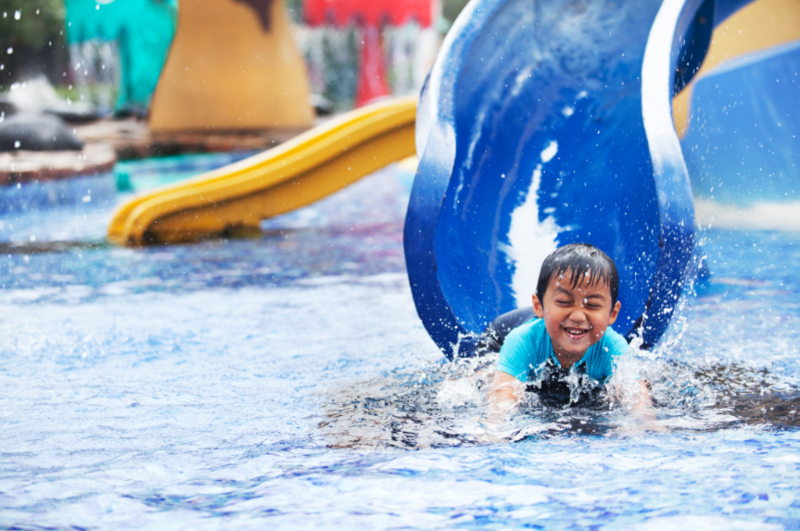 Check out some of our favorite things to do with kids this summer in Manassas, VA.
There’s no better place to beat the summer heat with the kids than a visit to the waterpark! With slides, pools, places to splash around, and covered pavilions, this is the perfect place to spend a whole day. Splash Down even has a variety of food, snack, and ice cream options for purchase. Not to mention, you’ll get to tire the kids out at the same time they are having a blast. The water park offers daily tickets, as well as season passes and specials. Take a short drive over to Signal Hill Park with the kids and even the dog! This park has everything, from basketball courts to playgrounds to miles of trails. Grab a couple of friends or other parents their kids for an afternoon shooting some hoops, or having a picnic at the picnic table area. The Fourth of July is the perfect time to grill, play outside, and watch fireworks with the kids. Head on over to Signal Hill Park on the 4th for their annual fireworks celebration! Admission is free for everyone, and they’ll have a variety of food trucks available just in case. Fireworks start at 9:15pm, so bring a blanket and get ready to watch a great display. Do your kids have a lot of energy? Try out Urban Evolution! They host parkour summer day camps for kids through the entire season. They’ll get to jump around with their friends or siblings under the supervision of professional trainers, and work off some of that energy! They also have a variety of classes for adults to try if you’re looking to stay active this summer. Your kids will be sure to stop their grumbling about going to a historic site when you get to the Manassas National Battlefield. Let them roam the battlefields, check out the cannons, and even see a live action demonstration! They offer several kid friendly activities and getting them outside and exploring will ensure that they’re not being zombies in front of a TV or computer screen all summer vacation. With ball courts, a pool, a firepit, and just a short drive from all these activities, living at Arcadia Run just gets even better in the summertime! Check out all we have to offer by visiting us online. The hot days of summer are here at Arcadia Run and if you need us, we’ll be spending our days lounging by the resort-style pool! 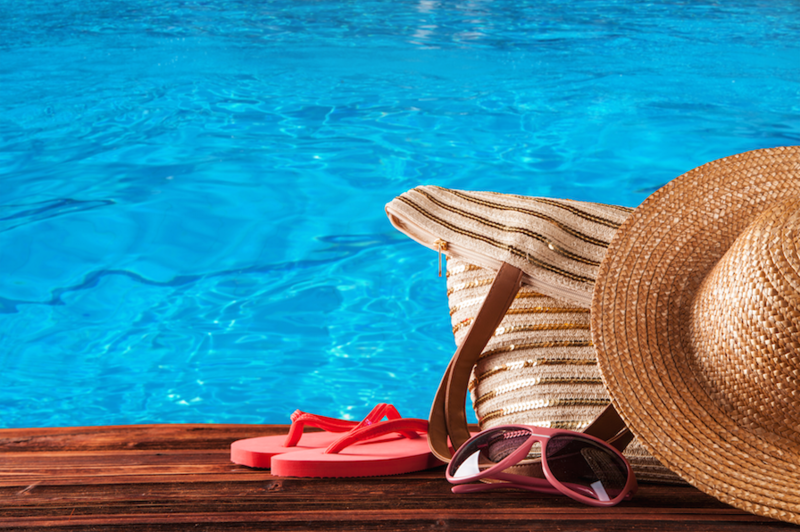 You really don’t need much to enjoy a day at the pool, but we’ve found some items for your pool bag that once you try, you won’t be able to live without for the rest of the summer. Check out some of our new favorite pool must-haves below! No need to worry about readjusting your towel every time you rotate to tan, or making sure it doesn’t fly away in the breeze. These towel clips will keep your towel in place, and come in a variety of fun shapes and sizes! At a great price, you can pick up a few pairs for yourself or neighbors who you love to hang by the pool with. Time to turn up the jams! Whether you’re listening to Lorde’s new album or botching the words to Despacito, these speakers will keep the fun going all summer long. Waterproof speakers are a must at the pool, and these will keep working whether a cannonball splashes them or a sudden thunderstorm rolls through. We donut hate these cute pool floats! Spend a hot day cooling off in the pool on one of these floats, available in shapes such as donuts, pineapples, or even a flamingo. Get the perfect summer Instagram picture of you and your friends on the swan float and you will be the envy of everyone at the pool. Glass isn’t allowed at the pool, so keep your drinks cold with a plastic or metal tumbler. If you know you are going to get a lot of use out of this tumbler, you can splurge on a Yeti insulated tumbler that will keep your drink cold all afternoon! If you’re looking for a deal, check out these tumblers on Amazon that come in every possible size and color. If there is no room in your pool bag for a tumbler, no worries! You can always grab some water at the Clubhouse, or take a few steps back to your apartment home. The pool is for you to go swimming, not your phone! Don’t be afraid to take your phone to pool with a waterproof pouch. They will keep your phone and any other electronics safe from the water, even if you accidentally drop them in the pool. Spending a few dollars on one of these bags is a much better alternative than replacing your phone altogether! The best part about the pool at Arcadia Run is that you can bring whatever you want and you’re sure to have a great time! Learn more about Arcadia Run Apartments all we have to offer by visiting us online. One of the best things about summertime is getting to enjoy all that the warm weather has to offer, such as lazy days by the Arcadia Run pool and cookouts in the evenings with friends. Yummy dishes such as hamburgers and corn on the cob are summertime staples, but the last thing anyone wants to do is spend hours in the kitchen when you could be outside enjoying the summer sun! We’ve searched high and low for some party-perfect dishes that only require 3 ingredients, meaning you spend less time inside and more time chowing down. Check out some of our favorites below! Didn’t your grandmother tell you to eat your brussel sprouts? Gone are the days of bland brussel sprouts; this recipe will have you eating them more often. All you need are brussel sprouts, dates, and everyone’s favorite ingredient: bacon! All of these combined make the perfect side dish for the dinner party you’re having next weekend. Mac and cheese isn’t just for the kids anymore! Stir up some pasta shells in milk and add in cheese and you’ll have a delicious, cheesy bowl of shells to take to a cookout at the neighbors or by the pool. Tip: while this recipe only calls for shells, milk, and cheese, you can add in any of your other favorite ingredients to spice it up! 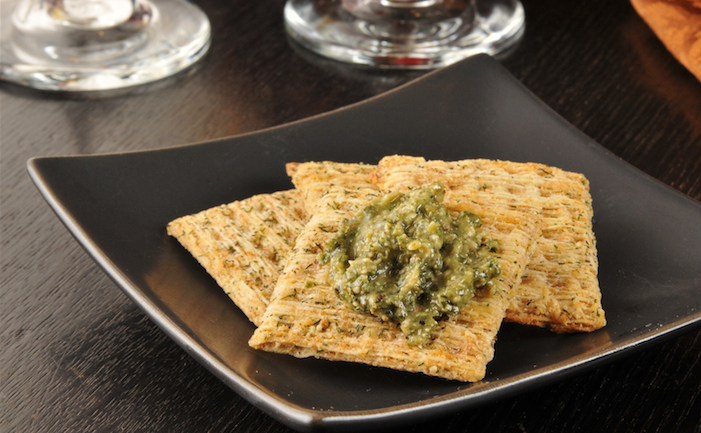 One of the most versatile sauces for the summer, pesto can be put on almost everything! Spread it on crackers with cheese, use on a caprese salad, or mix it in with pasta salad. Instead of pine nuts, this recipe only calls for basil (abundant during the summer months), EVOO, and salt and pepper. A perfectly refreshing topping like this will have everyone coming back to seconds. The only thing hotter than the summer sun will be these poppers on the picnic table! All you need are fresh jalapenos, cream cheese, and bacon to whip up a snack or app that everyone will devour. Finally, the best part of any cookout: dessert! Cool everything off with this delicious ice cream pie that you just have to assemble, stick in the freezer, and pull out when you’re ready to serve. This pie calls for a premade Oreo crust, whipped cream, and mint chocolate chip ice cream, but you can substitute in any ice cream flavor you want. Nutella: proof that happiness can come in a jar. Grab some eggs, flour, and Nutella to make these easy brownies, perfect to keep around all summer long. If you’re bringing them to a party, hide a few for yourself because they will go fast. Summer is the perfect time to find your brand new apartment home at Arcadia Run for a gorgeous kitchen to cook these delicious dishes this summer! Visit us online to learn more.